This was a book that I found on the "new books" shelf of my local library. It has been years since I have read one of the Thoenes' books, and the cover intrigued me. The Thoenes' books not only tell fascinating stories from past times, but the historical accuracies that are interwoven throughout the characters and the plot make it all the more interesting. I was not disappointed in this book. Many of the characters in this story are from the biblical account of Jesus' ministry and last days - and besides using Scripture to give some of them the accurate dialogue, those that are mere mentions in this gospel story are given extensive personality and involvement of what "may have been" all the while keeping true to the historical account. This is the third and final book of this series, and it has become a necessity for me to go back and find the first two books to read as well! 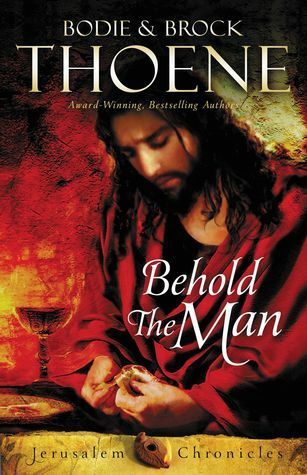 Sign into Goodreads to see if any of your friends have read Behold the Man.